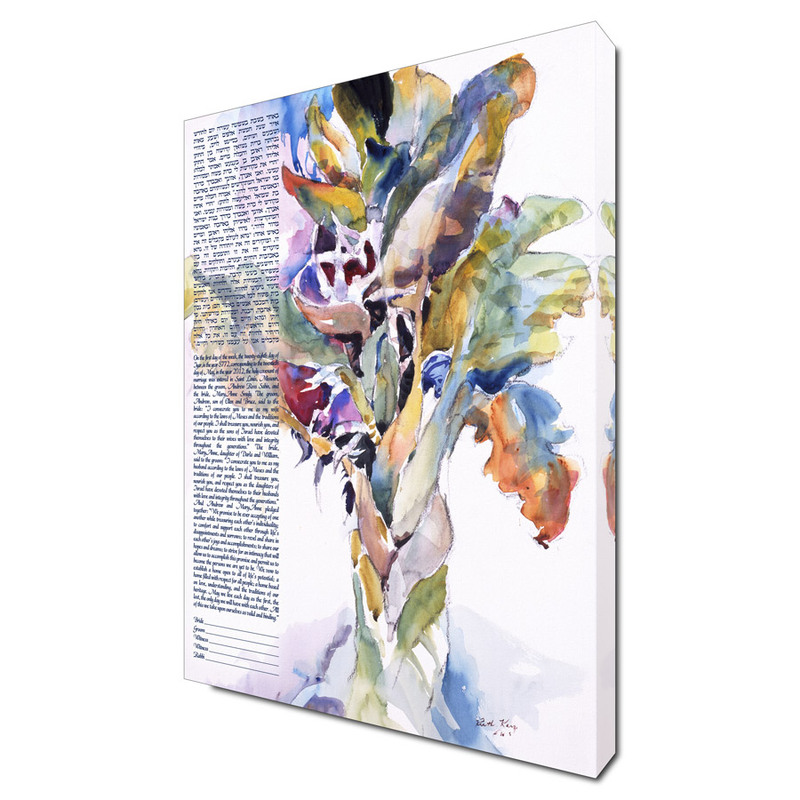 ketubah4less : 12.5" x 17.75"
Standard : 16.5" x 23.5"
A tree is strength, a tree is beauty. Without trees, so much that we take for granted would not exist. Thus, we can compare two people in love to a tree. There is the inner strength of commitment to one another. There is the beauty that radiates from a couple in love. A tree does not remain the same. It grows and flourishes. It gives off shoots that begin the life cycle all over again. How like a tree we are! 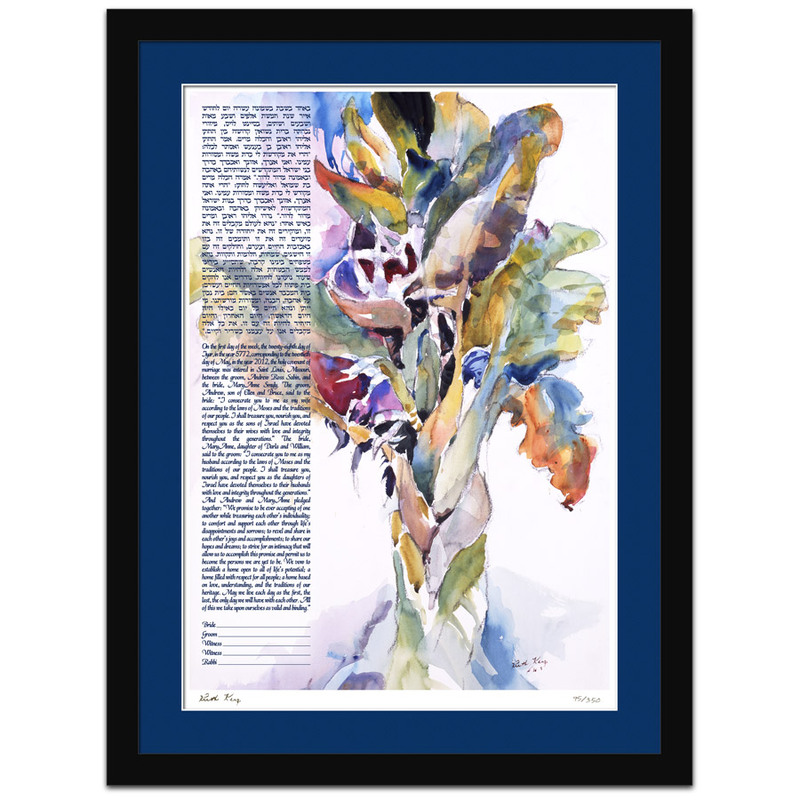 The original painting for this design recently won the second place award from the Florida Professional Artists Guild.